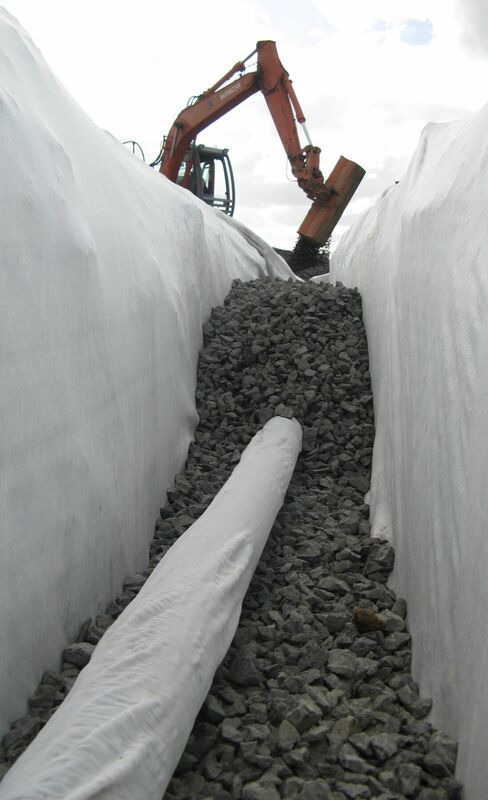 Filter Plus™ is a premium nonwoven geotextile filter fabric. 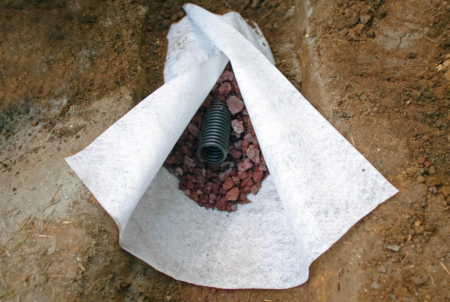 Filter Plus is supplied in small roll sizes and is best suited for subsoil drainage, filtration and separation, by preventing the intermixing of aggregates and soils. 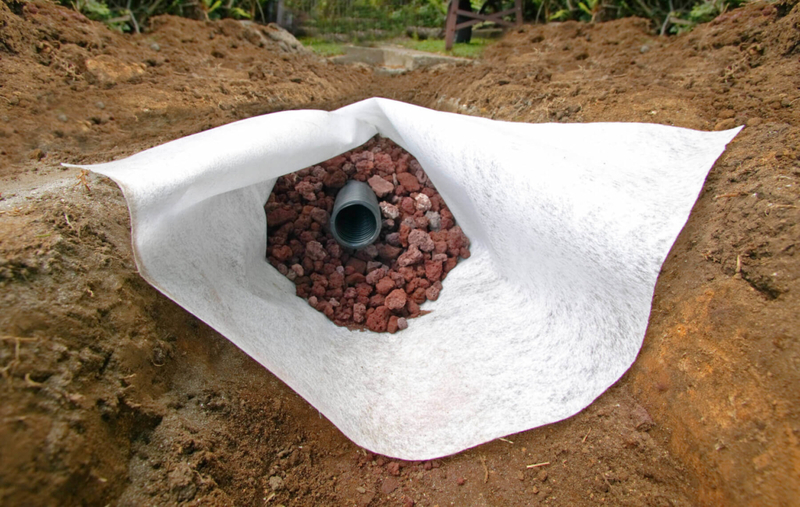 Filter Plus is ideal for smaller site applications. 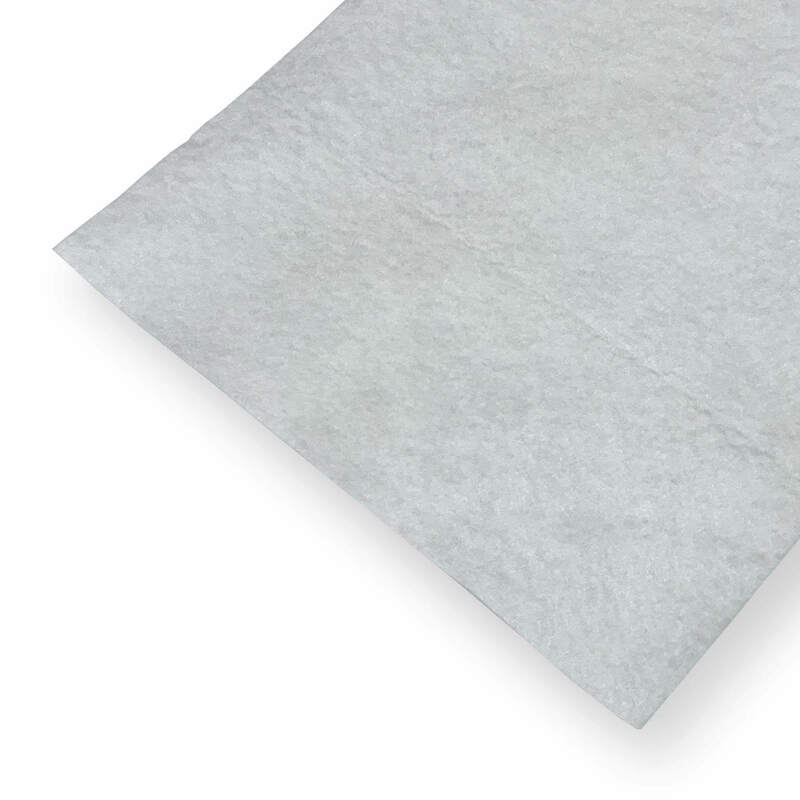 Filter Plus is the small roll size range of the DuraForce™ AS series nonwoven geotextiles. 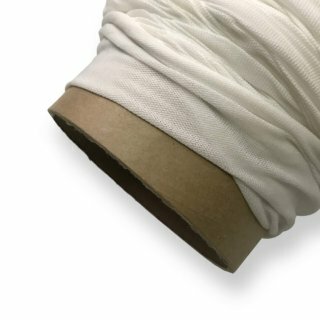 Nonwoven needle punched geotextiles are manufactured from the extrusion of polymer fibres which are then laid down on a manufacturing ‘bed’. They are then needle punched to entangle the threads, resulting in a permeable, yet dimensionally stable product. 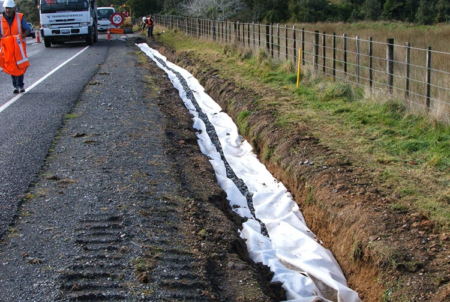 Additional thermal treatment is applied to improve the strength of the geotextile further. 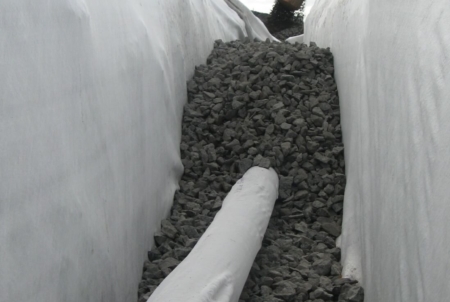 Therefore, due to this manufacturing process nonwoven geotextiles are best used in applications of drainage, filtration and protection. 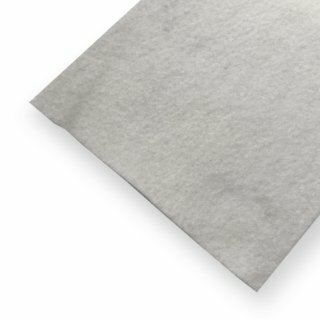 What are the main uses of Filter Plus? Filter Plus is mainly used for filtration, separation and reinforcement. Needle punched is better for filtration and woven is better for reinforcement although both will effectively separate soil layers. Is Filter Plus UV stable? Filter Plus is tested for UV resistance and achieves greater than 80% retained after 500 of hours testing. This means the product is UV stable for the duration of typically expected working times. However, it is not designed to be exposed for years. Does the colour make any difference? No. The grey and black fabrics have a pigment added, usually to hide imperfections in the raw material due to a recycled material being used. 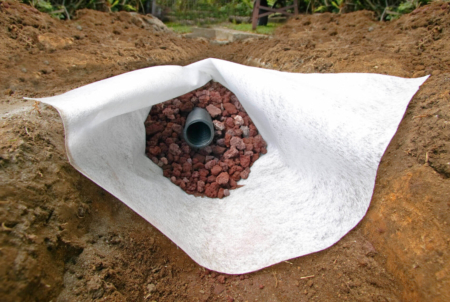 Filter Sleeve is a tested and proven solution for protecting subsoil drains from sedimentation. 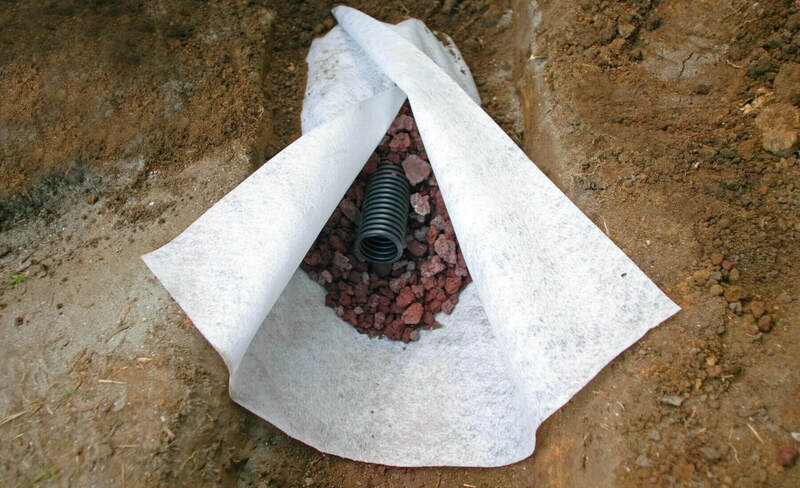 Readily available, cost effective and proven to perform, Filter Sleeve is your first choice for protecting perforated pipe subsoil drains. 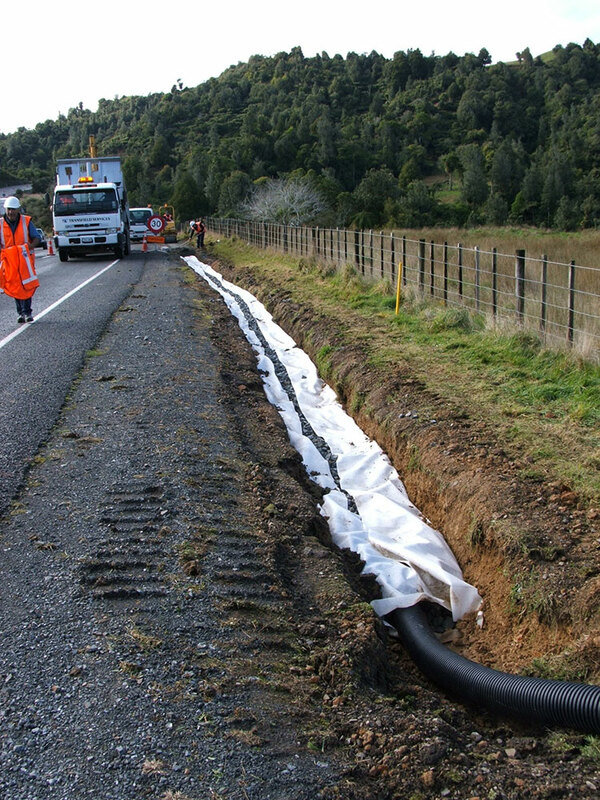 DuraForce AS series geotextiles are manufactured and tested to exact quality standards and rated according to the NZTA F/7 specification for geotextiles. Available in a range of grades depending on the particular engineering application required. The Cirtex RainSmart and Triton stormwater calculators (‘The calculators’) are intended to assist a qualified designer with selecting the appropriate size and layout of a stormwater system. The suggested layouts generated by the calculators are intended as a guide only and have not been prepared by taking into account the particular objectives, situation or needs of any individual users or projects. You must use appropriate judgement in applying the results to the specific project, and the results must be checked and approved by a suitably qualified stormwater engineer before construction. The calculators are intended for use in the New Zealand environment only, and must not be used for projects located outside of New Zealand. The calculators are for the sole use of the person who registered with Cirtex Industries Limited (‘Cirtex’) and to whom they were directly supplied by Cirtex. Every user of the calculators must be registered with Cirtex. Use of the calculators by anyone who has not registered with Cirtex is not authorised. The calculators use only one of a number of recognised methods for calculating stormwater runoff. The designer has sole responsibility to ensure this method is suitable to the site being considered and any relevant statutory or contractual requirements. The calculators are a tool only and are not a substitute for professional judgement. Many factors on site and during construction will impact the final result of the project. are not responsible for any consequence arising out of the use of these calculators, including any loss or damage arising from that use. Stormwater design methodologies and practices and relevant codes and regulations may change over time. You acknowledge that Cirtex is under no obligation to update or re-issue the calculators to reflect any such changes or to inform you of any such changes. The term “the Company” refers to Cirtex Industries Limited, its subsidiaries, associates and assigns. The term “the Buyer” refers to the person, firm, partnership, company or corporate entity with whom the Company enters into a contract to sell its goods. “Goods” means any goods purchased by the Buyer from the Company at any time, and any incidental services. 1.1 The Buyer will pay for all Goods on or before the 20th of the month following date of invoice, (the ‘Due Date’) unless by prior arrangement with the Company. 1.2 The Buyer shall respond to the invoice by providing a payment schedule to the Company in accordance with clause 21 of the Construction Contracts Act 2002 no later than 10 days after receipt of the invoice. 1.3 The Buyer may not deduct, set-off, or withhold any amount due to the Company. 1.4 The Company reserves the right to reject any cheque other than a bank cheque and to place conditions (including but not limited to requiring identification) on any cheque or credit card payment. All stated and quoted prices exclude GST, unless otherwise specified. 1.5 In the event that the Buyer fails to pay for the Goods by the Due Date in accordance with clause 1.1 and fails to provide a payment schedule in accordance with clause 1.2, the Company may recover from the Buyer as a debt due the unpaid portion of the claimed amount. 1.6 The Buyer acknowledges that the Company shall be entitled to review and adjust its price to reflect any change to any initial quantity of Goods indicated by the Buyer. 2.1 Ownership in Goods supplied remains with the Company and shall not pass to the Buyer until the Buyer has paid the full purchase price for the Goods whether or not referred to in a particular invoice. 2.2 Until the Goods are paid for in full by the Buyer the Goods shall be stored by the Buyer in such a way as to clearly set aside those Goods from other goods which may belong to the Buyer. 2.3 Until the Buyer pays the Company in full for the Goods the Buyer will hold the Goods as bailee and will be in a fiduciary relationship with the Company in respect of the Goods. If a period of credit is allowed, the Buyer, as the Company’s agent, may on sell the Goods before the Due Date (but on terms which do not impose any liability on the Company to the sub-purchaser), and until payment is made to the Company the Buyer will retain the proceeds of resale in a separate account and will account to the Company for them. This provision shall apply whether or not a period of credit is allowed. 2.4 If the Goods are used or become part of another product or are changed in their character in any way, the Company’s title to the Goods will continue in the reconstituted product to the fullest extent permitted by law. 2.5 At any time before payment for the Goods is made (even if any period of credit has not expired), the Company may retake possession of the Goods, dispose of them as it sees fit and may cancel any contract with the Buyer. 2.6 Until full payment is made for the Goods by the Buyer, the Buyer irrecoverably authorises the Company and it’s agents to enter land upon which the Goods are stored or kept to uplift the Goods and to carry out such work as may be necessary to return the Goods to the possession of the Company. 2.7 Nothing in this clause shall be construed as permitting the Buyer to return the Goods or any part of them because they are surplus to the Buyer’s requirements or for any other reason. 3.1 Risk in the Goods will pass to the Buyer upon Delivery of the Goods. 3.2 The Buyer warrants and undertakes to the Company to insure the Goods against any loss or damage incurred, following Delivery until full payment is made for the Goods. (b) If the Goods are being sold from the Company’s premises and the Buyer is to collect, when the Company has placed the Goods at the disposal of the Buyer. 4.2 Where delivery is to be made to the Buyer’s site address, delivery will be made to the road entrance of the site specified by the Buyer and on the date agreed by the Company and the Buyer for delivery. If requested, the Company will deliver onto the site, but will not be responsible for any damages or incidents that occur on site. 4.3 The Company reserves the right to charge reasonable costs of delivery. The Buyer is responsible for any and all additional charges that may be incurred if on site delivery is requested. 4.4 All delivery dates are estimates only. The Company will not be liable to the Buyer for any non-delivery or delays in delivery. The Buyer will not be entitled to cancel the order or claim any sum as damages/compensation if estimated delivery dates are not met. 4.5 If the Company is holding packaging, moulds, or any other item relating to work done for a Buyer, and that Buyer does not make full payment within the time frame applying under these Terms and Conditions, or if the Buyer is collecting the Goods and does not complete collection of the Goods within 30 days of the Company advising the Buyer that the Goods are available to be uplifted then the Company may in its discretion dispose of the Goods or sell them to another party in order to recover its costs of production, non-payment, or storage, or any other relevant costs. (b) All proceeds of the goods described in 5.1(a). 5.2 On the request of the Company the Buyer will promptly execute any document and do anything else required by the Company to ensure that the security interest created under this agreement constitutes a first ranking perfected security interest over the Goods and their proceeds including providing any information the Company reasonably requires to complete a financing statement or a financing change statement. The Buyer waives any right to receive a copy of the verification statement under the Personal Property Securities Act 1999. 5.3 The Buyer will pay the Company all costs, expenses and other charges incurred, expended or payable by the Company in relation to the filing of a financing statement or a financing change statement in connection with these terms and conditions. Any costs incurred or losses suffered by the Company will be payable by the Buyer upon demand. 7.1 Any warranties (other than any express warranty that may be given by the Company in writing to the Customer) in relation to the Goods are expressly excluded to the fullest extent permitted by law. the actual loss or damage suffered by the Buyer. 7.3 The Company will not be liable for any damage, loss of profit or any indirect or consequential loss suffered by the Buyer or any other party as a result of the Company’s breach of this contract or any negligence on the Company’s part. 7.4 The Company shall have no liability to the Buyer, whether in contract, tort, breach of statutory duty or otherwise at law arising on or after the date falling 12 months after the Delivery of the Goods. 8.1 The Buyer acknowledges that all or some of the Goods may have been manufactured by or sourced from a party or parties other than the Company or the Company may have obtained information or data about the Goods (or goods the Company may consider comparable or useful as an alternative), from other parties whether by reference to manuals, information available on websites, or otherwise. (iii) The Company has no responsibility or liability whatsoever in respect of any loss, failure or matter arising out of the Goods not meeting or matching the Buyer’s requirements or specifications. The Buyer must not reproduce or distribute any information concerning the Goods sourced from other parties without the express written authorisation of the Company. 10.1 If the Customer is acquiring or holding itself out as acquiring the Goods for a business purpose, the Consumer Guarantees Act 1993 and the Sale of Goods Act 1908 will not apply to the fullest extent permitted by law. 11.1 The Company will not be liable for delay or failure to perform its obligations arising from any act of God, or if the cause of the delay or failure is beyond the Company’s control. 12.1 The intellectual property in the Goods and in any documentation created, prepared or supplied by the Company to the Buyer in connection with the Goods shall remain with the Company. 13.1 The placing of an order shall for all purposes be deemed to be acceptance of, and the placing of the order on, these Terms and Conditions. 14.1 If any part of these Terms and Conditions are deemed to be void, illegal, or unenforceable, that part will be severed, and will not affect the validity of the rest of the Terms and Conditions. 15.1 The Company is contracting with the Buyer on the basis that the buyer is representing that it is a legal entity. If the Buyer is not a legal entity, or if the Buyer defaults in making payment, or breaches any of these Terms and Conditions, any person signing this Credit Application / Terms and Conditions Form will be personally liable (and if more than one jointly and severally) to the Company for all amounts payable from time to time from the Buyer to the Company and all of the obligations of the Buyer under these terms and conditions. 16.1 Any disputes arising out of any order placed will first be attempted to be resolved by the Company and the Buyer through good faith negotiations between senior representatives. If such negotiations do not resolve the dispute within 10 days the parties may refer the dispute to adjudication which shall be conducted in accordance with Part 3 of the Construction Contracts Act 2002. Any dispute shall be finally resolved by referral to arbitration in accordance with the Arbitration Act 1996, such arbitration to be carried out in Auckland before a single arbitrator who shall, unless agreed by the parties, be nominated by the Arbitrator’s and Mediator’s Institute of New Zealand. 17.1 Without prejudice to the Company’s other remedies, the Company may charge the Buyer interest on any sum due and owing, but outstanding under these Terms and Conditions at the rate of 1.5% per month from the date payment was due until the date of payment. 18.1 The Buyer shall not be entitled to assign the benefit of these Terms and Conditions without the consent of the Company, acting in its discretion. 18.2 These Terms and Conditions shall be governed by New Zealand law, and the parties submit to the non-exclusive jurisdiction of the New Zealand courts. 18.3 These Terms and Conditions shall constitute the entire agreement between the parties hereto for the provision of the Goods by the Company. It supersedes all prior negotiations, representations or warranties except where they have been attached to this agreement.